More than 80 years experience guarantees best working results: It is in our interest to understand your requests and requirements, see them clearly and convert them into product. Our highly skilled print team operates with a worldwide network of experienced partners. The base of this valuable and constructive cooperation generates for us sincerity, mutual trust and total reliability. As a manufacturer, we voluntarily commit ourselves to environmental, economic and social sustainability. The company Nagels Druck was founded in 1928 under the name of Schwieren. In 1977 Karl Nagels took it over and it is now run by his sons Thomas and Werner Nagels. 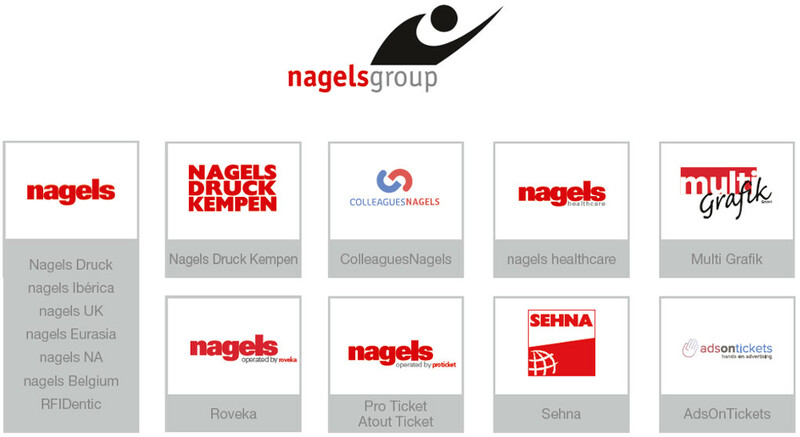 The nagelsgroup consists of highly specialised companies with the shared ambition for future growth. Each business works to our core principles while maintaining individuality, providing unique skills that benefit our customers and the ticketing and print industry in general. nagels demand for quality is very high. Our way to achieve this, is no secret: Quality is not only defined by technology, but also by people’s knowledge. Quality means ongoing motivation to be abreast of the latest technology, and having experts in each of our market sectors.